the latest news within the Smart Cities space! It’s no secret that we’re stronger together. In fact, in this year’s Smart Cities Readiness Challenge we found a strong number of cities partnered with their neighbors to magnify their impact. But Chula Vista, the second-largest city in the San Diego metropolitan area, embodies this vision. Even the city’s own website is designed for a regional impact. Learn about some of the city’s key collaborative efforts below. Better yet, join us at Smart Cities Week San Diego April 15-17 where mobile workshops and other sessions will allow you to see the results of its efforts for yourself. Check out the Smart Cities Week program and then register. 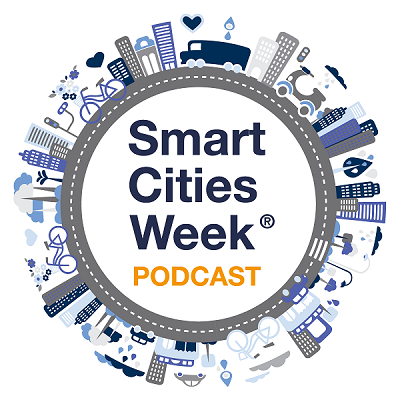 Each episode of the Smart Cities Week Podcast features smart city experts talking about the latest trends and what to expect at this year’s Smart Cities Weeks. Never miss an episode! Subscribe on your podcatcher of choice. Hear from Chris Richardson, Deputy CIO, Arizona State University on how university campuses are transforming into small smart cities. “My role as Deputy CIO is to make data transparent, to bridge the gap between serving our students, our staff, faculty, our alumni and the stakeholders that come to our campus at any time. We are trying to find solutions that make our digital and physical environments merge in ways that were impossible in previous eras.” Chris Richardson, Deputy CIO, Arizona State University. The Mayor of the City of Chula Vista, Mary Salas joined us on the Smart Cities Week Podcast ahead of her appearance in the Opening Plenary: Mayors Roundtable at Smart Cities Week San Diego next April 15-17. The outstanding infrastructure and technology transformation of a city! You will hear from Erik Caldwell, Deputy Chief Operating Officer, City of San Diego on how this city has a unique innovation ecosystem and more start-ups than Silicon Valley. “Why we are so excited to have Smart Cities Week coming to San Diego? You will be able to see a lot of the advanced technologies that we often hear about and are in place here in San Diego,” says Eric Caldwell.